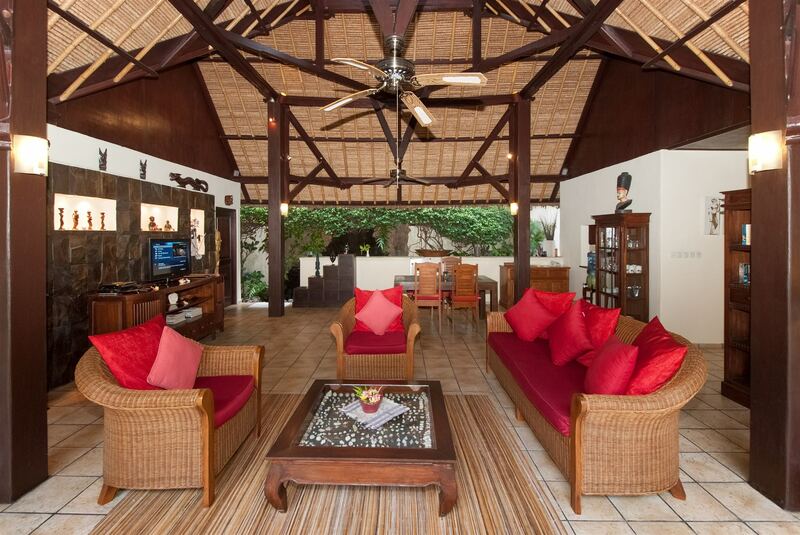 The 160sqm living area is divided into an approximately 50 m² large, open plan living room, decorated with a combination of natural rock, indigenous wood, as well as rattan. 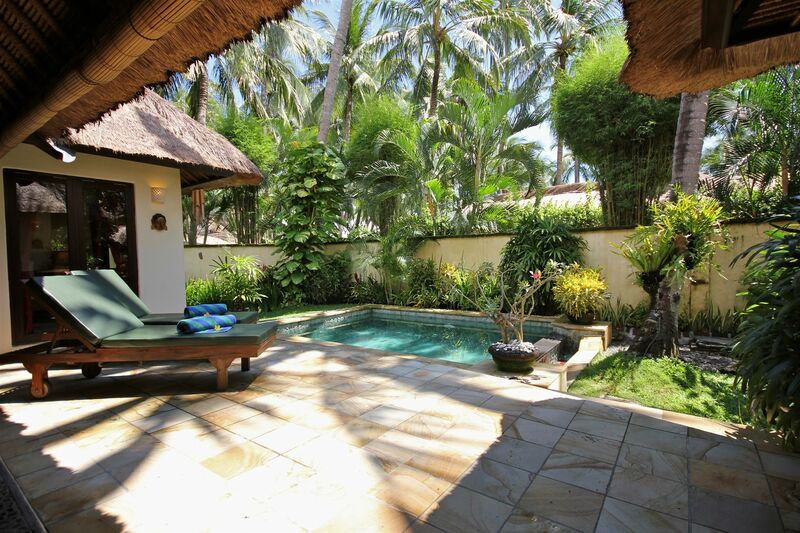 The villa is situated in a 200sqm of truly private garden. 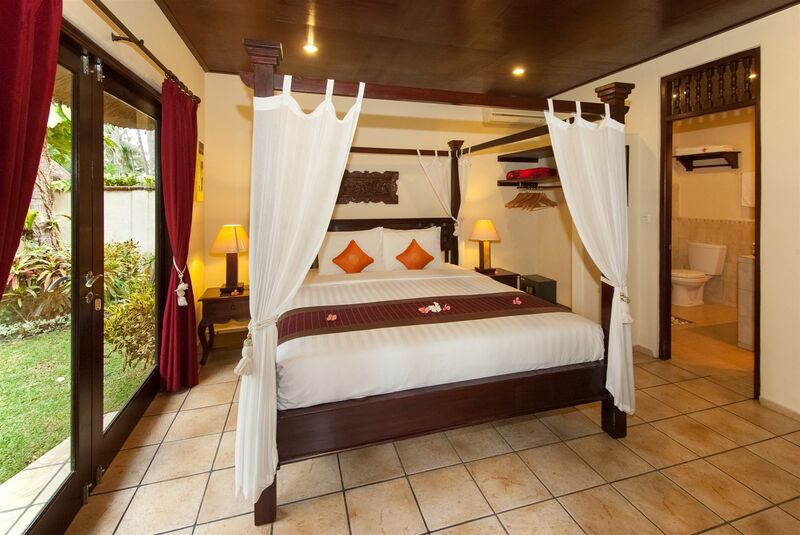 2 of the 3 bedrooms have direct access onto the garden, and all feature en-suite bathrooms. Hot water and air-conditioning is provided, as well as satellite connection to the living room TV, with a reception of various TV programs. 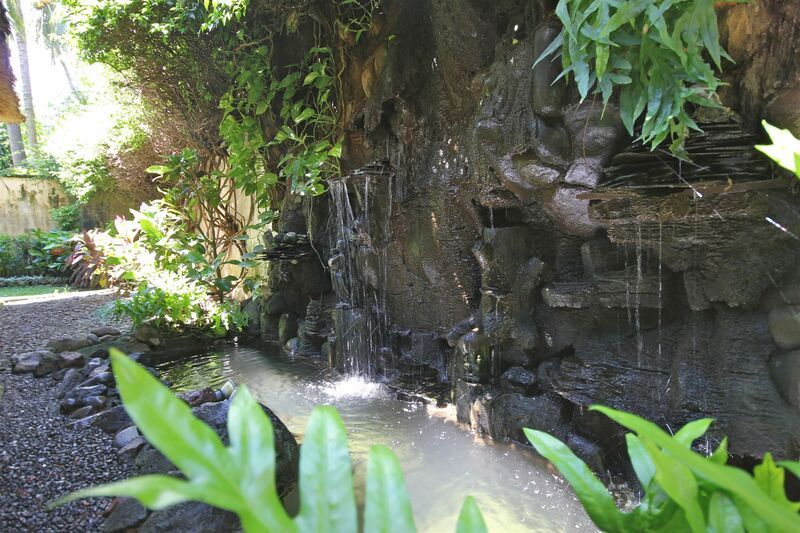 A dining area, seating up to 6 people is located almost directly next to the natural rock waterfall and garden pond, containing Indonesian Koi Carp. 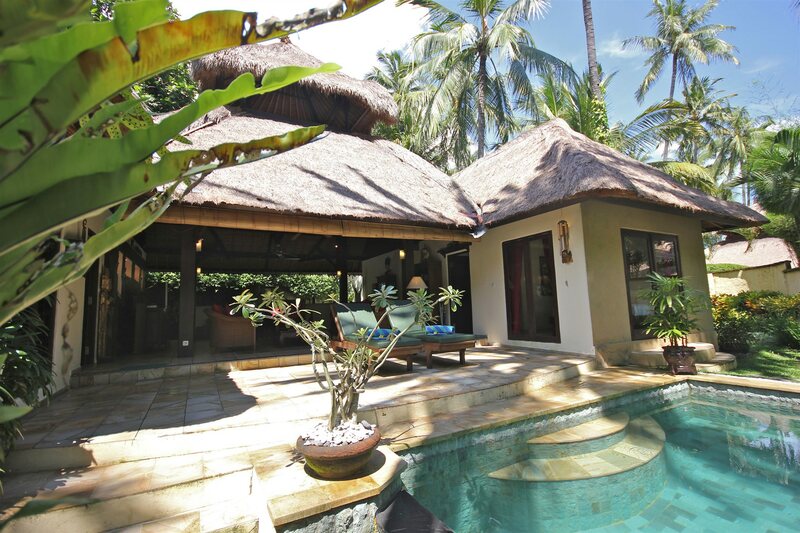 Like every true villa, Purnama features its own pool (15 m²) which invites for a private bath in one of the garden corners. Peaceful, yet also centrally located, the villa is only a few metres away from our Wellness Centre, only 1 minute by foot to the diving centre, and even closer to the sea front, common pool or restaurant. A real jewel at the Alam Anda.